DUE TO SIGNIFICANT REQUESTS FOR EXTENSION FOR SUBMISSION OF STUDENT ACADEMIC POSTER THE CONFERENCE COMMITTEE HAVE AGREED TO EXTEND THE DEADLINE TO THE 20th FEBRUARY. 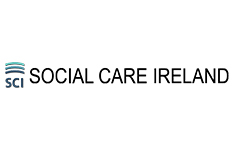 Social Care Ireland Conference Organising Committee are calling for student academic posters for presentation at Social Care Ireland Annual Conference 2017. The poster submissions for consideration must relate to the Conference theme and may include reporting on research projects, for example from dissertations, thesis or group/individual projects (preliminary findings are sufficient), critical reviews of literature and research informed reporting on practice issues. Posters can be in one of the following sizes (approximately) – A3 (42cm x 30cm), A2 (60cm x 42cm) or A1 (84cm x 60cm). Text should be no less than 300 words and no more than 750 words. Please consider colours carefully, as what looks appealing on screen may reproduce poorly in print. Posters should be emailed as a single powerpoint slide to socialcareirelandconference@gmail.com on or before 5pm, 26th January. Confirmation of receipt will be emailed. Please include your name in the file title. Entry is competitive, and the decisions of the organisers is final. Please note, the conference organisers are not in a position to print posters or take responsibility for delivery or return. If you cannot attend to present your poster, ensure the individual delivering the poster to the conference is happy to assume responsibility for it throughout the conference, and for its safe return. Further guidelines on poster presentation submissions are available here. The links below provide a series of resources and examples for creating academic posters.